What a delightful surprise! The Onyx Torbusto has jumped to the top of my personal favorites list, ahead of several other more expensive choices. This cigar gets better as you smoke. A full, rich flavor complimented by the deep maduro wrapper. My only concern is that this cigar should not be called a true 60-gauge. Because of its unusual shape, only a small part is close to 60-gauge. This is my go to cigar. Perfect length and ring size. 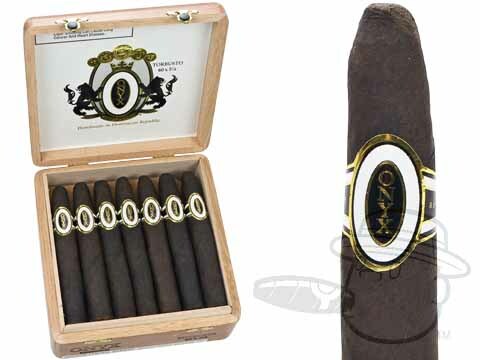 Onyx Reserve Torbusto is rated 4.3 out of 5 based on 3 customer ratings.